Molly has officially run out of clothes. We’ve been incredibly fortunate to survive on very generous hand me downs so far, but now it’s time to kit this baby out with a winter wardrobe. The only trouble is, it’s not winter yet, no where near in fact, so we’re stuck with too small summer clothes and too big winter clothes and not a lot in between. 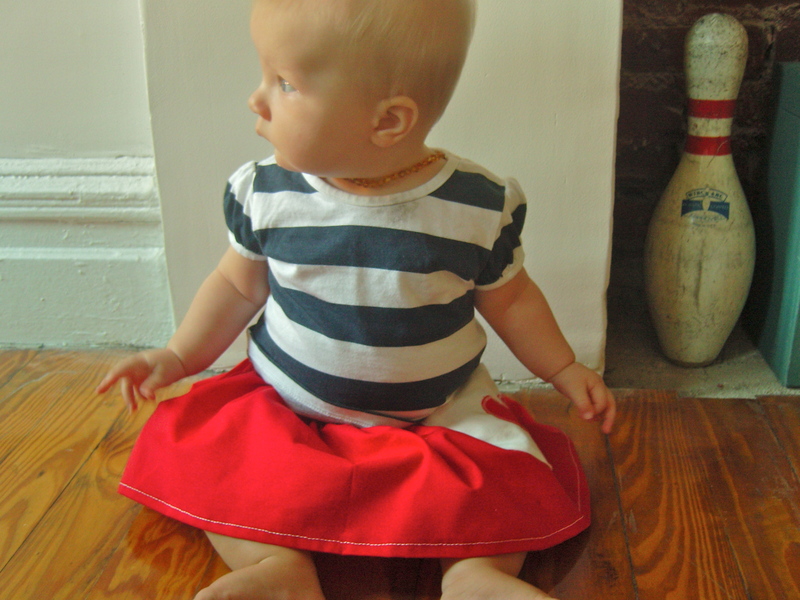 So, I had a rummage through my fabric drawer and made her some simple skirts. 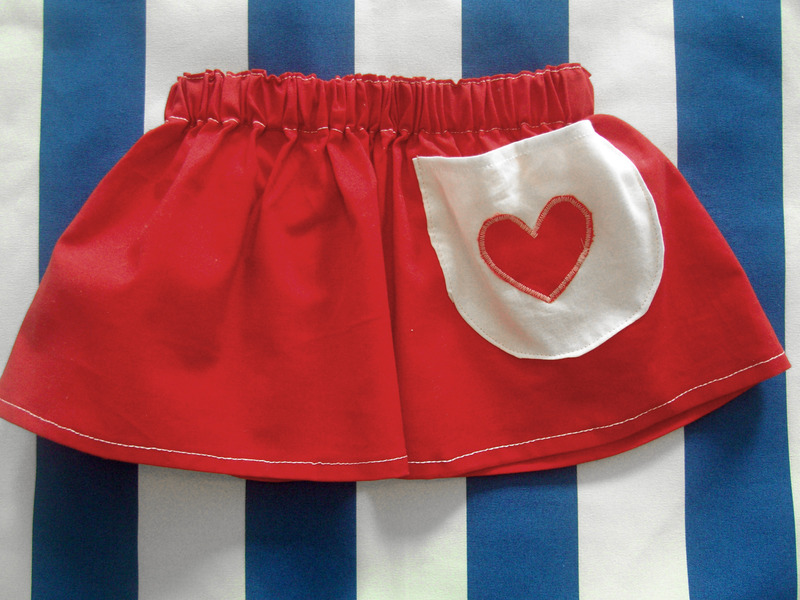 The red one has been nicknamed The Care Bear Skirt and the other one…well, I haven’t thought of one for that yet! Do you recognise the fabric though? 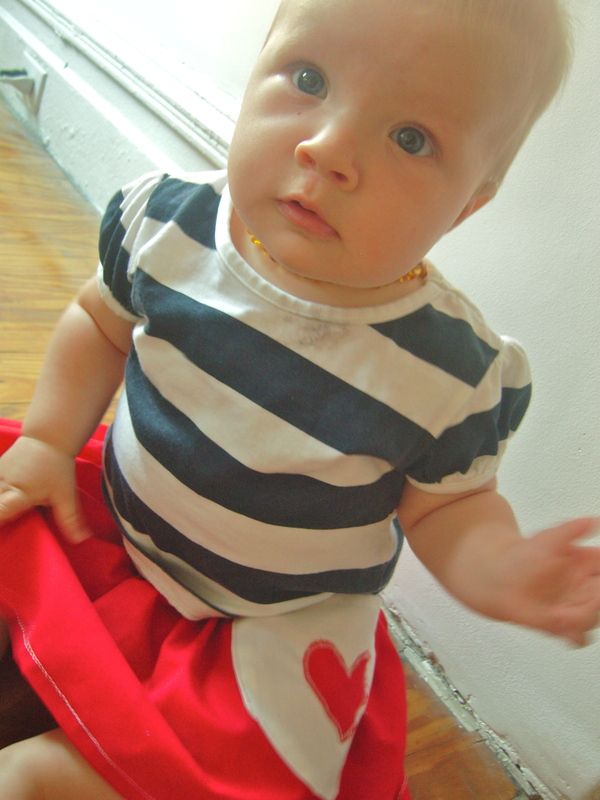 That’s right, it’s that same thrifted valance sheet I used to make this dress. 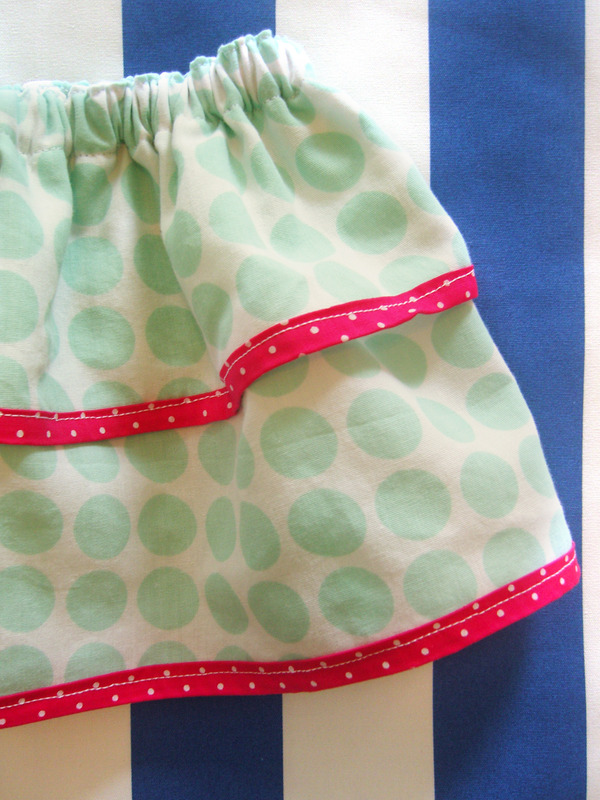 I love how little fabric it takes to make these skirts and all the variations you can make too. I also love how Molly isn’t able to tell me whether she likes it or not and just has to wear whatever I put on her. Got to enjoy it whilst you can eh?! 03 Sep	This entry was published on September 3, 2012 at 1:40 am and is filed under Uncategorized. Bookmark the permalink. Follow any comments here with the RSS feed for this post. They are so adorable Maddy! Really well done. 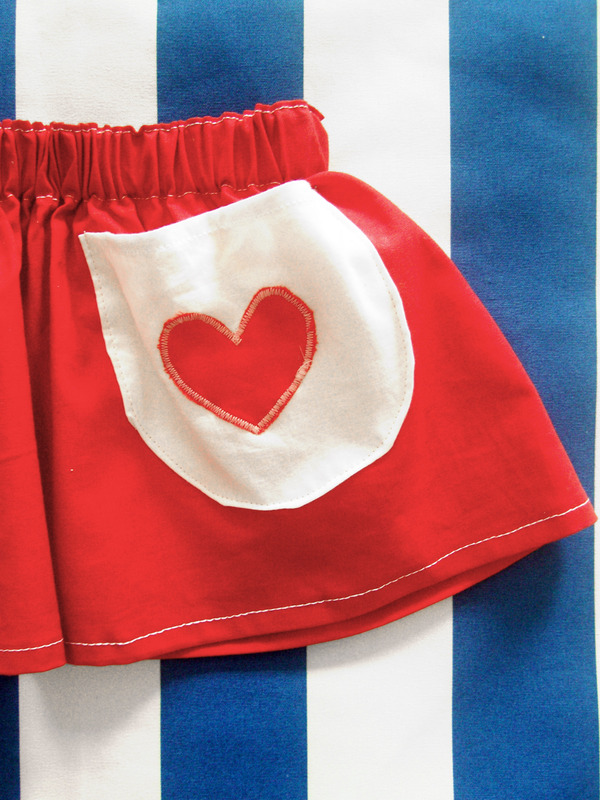 Ps…The care bear skirt is perfectly named! Hey Steph, I’m sure you’ll become just as much a fan of the skirts as I am. So easy too! The next thing is doll’s clothes! Eeeeee! Hope you’re feeling well. 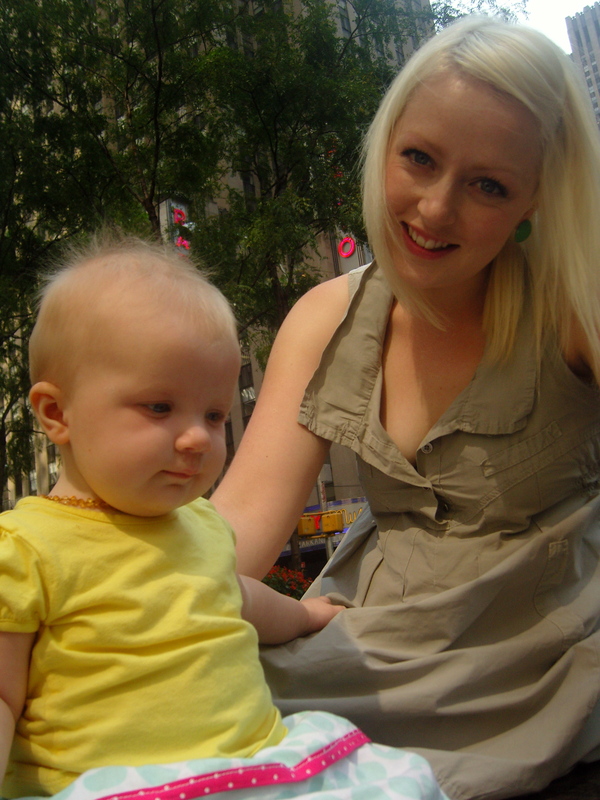 Just had a peek at your blog, the moses basket quilt is very sweet indeed. Do you have a fancy machine that you can embroider on? Thanks Maddy! You’ve given me an idea! I’m going to make some practice little dresses etc for dolls. I’ve got a very basic AEG sewing machine that I bought recently but I hardly dare to use it at the moment as I’m not neat with it at all. I just use it for sewing the quilt layers together at the moment. I do hand embroidery but I definately need to sharpen up my skills!